The main two being whether you died without a will (intestate) or had executed a valid Louisiana Last Will & Testament before you died (testate). You can largely determine where your assets will end up in your will. Obviously, there are a few exceptions, such as whether you have what is known as forced heirs. This is discussed in depth in another of our articles. You call the shots when you have a will directing your wishes. You can give away your property to who you want and in the percentages and ownership type you desire. You can give someone full ownership or usufruct (“use”) of your property. It’s up to you. More about “usufruct” here. If you die without a will (intestate), it’s a whole different ball-game. The State of Louisiana has devised a body of law that determines where and to whom your property will go. You may not always agree with their decision, but it’s what we have to do if you do not have a will. There are basically two (2) scenarios when dealing with a deceased individual’s community property. Surviving spouse with no children: Your surviving spouse gets all of the community property in full ownership. Remember, they already own their ½ and now they get your ½ to complete ownership. Your separate property goes to your family (relatives) if you die without a will in Louisiana. It does not go to your surviving spouse in any capacity. You can fix this by executing a will as we’ve mentioned before. There really isn’t any wiggle room if there is not a will present; Louisiana law is strict and it must be adhered to. Surviving descendants: a person’s separate property is first distributed to their children over all other relatives. The children will receive the property equally if there are more than one child. This includes biological children as well as legally adopted. If any of the deceased’s children have predeceased them, then their children will take part in the same way their deceased parent would have had he/she survived. Surviving parents and siblings, but no surviving descendants: If you do not have any surviving descendants, your separate property will go to your brothers and sisters in equal portions. Your parents will receive a usufruct over this property if they are still alive. No parents or descendants, but surviving siblings: Your brothers and sisters will share equally in your separate property. Doesn’t matter if you are married and haven’t seen your siblings in eons, they still inherit your separate property if you do not have a will in place. It gets even more complicated if you have half siblings. No descendants, siblings, but your parents are still alive: Your parents will inherit your separate property to the exclusion of your spouse. We do a high volume of Louisiana intestate successions and have seen quite a few issues between family members who thought they were entitled to the deceased’s property. There are almost always unwanted surprises when someone dies without a will in Louisiana as the law may not completely favor your wishes. We get calls regularly asking for a Louisiana intestate succession chart so they can figure out who gets what. The best and safest way to determine this is to schedule an appointment so that we can look at all of the estate’s property to help you figure it out. We’ve helped a number of families in the Pineville, Alexandria and Marksville area with their successions and will gladly sit down with you and sort it out. Don’t take anything from this article to be legal advice, every situation is different and you need to speak with an experienced Louisiana succession attorney before making any decisions. The laws change and this post may one day become outdated. If you want to get ahead of the game and set up your estate properly to ensure your heirs are well taken care of, give us a call and set an appointment and we will go over aspects of Louisiana estate and succession law with you in a one on one setting. Remember, you can’t change things after you die – you have to set your plan in motion ahead of time to avoid the confusion of Louisiana intestate law and make sure your property goes where you want it to go. We get it often enough, in fact, that it has prompted me to author an article addressing this particular question. If you’ve done any amount of research as to Louisiana probate laws, then you have likely come to the conclusion that Louisiana has very different laws compared to other states. What works in Texas or Mississippi, would not necessarily work in Louisiana. This is why we always recommend speaking with an attorney that specializes in succession law, whether it be our firm or another firm. A mistake in this realm could be costly and time consuming. If you have been named as the executor of an estate, you probably have tons of questions: “Can I handle this myself? Who do I turn to if I file and have an issue later on? How much will all of this cost?” It’s difficult to anticipate what you will encounter when filing a succession in Louisiana as each situation is different and you have to know what you are doing to be successful. This is why we recommend turning to a lawyer with experience with how the court system works. Now, you may have a situation as an executor where you do not need to even go to a law firm or even ask questions of a lawyer. This completely depends on your unique situation and understanding of how probate works in Louisiana. I’m not going to say everyone needs to hire an attorney, but the vast majority do. Do you have the time required to handle the succession yourself and ensure all aspects are covered? There are numerous petitions, verifications, affidavits, judgments, etc. that you will need to file and that is assuming you don’t encounter issues or someone challenging the validity of the will. Do you live out of state and need to file a succession in Louisiana? Successions are already difficult, but even more so if you live outside of the state. If you try to handle it yourself, you may find yourself spending a small fortune driving back and forth trying to wrap up the estate properly. What type of assets did the deceased person own? Certain assets do not need to go through probate and can be transferred to the new owners without having to go to court. Do you know what these are and where to locate them? Probate is not needed for assets wherein the deceased named a beneficiary like a life insurance policy or retirement accounts. Estate Planning. Did the deceased do any estate planning to avoid probate before they died? There are actions a person can take before they die to avoid having to go through probate court in Louisiana. Size of estate. Is it a small succession? There are options for estates on the smaller side that do not involve court proceedings. They can be done outside of court and involve an affidavit of small succession. It’s possible you can handle these on your own, but will likely need the assistance of an attorney to ensure you did it correctly. Validity of the Will. Are there family members out there that may contest the will? This happens and can rip a family apart over money. If an angry family member mentions bringing a lawsuit against the estate, run to an attorney immediately! Probate lawsuits can spend every single penny from the estate if you aren’t careful. An attorney with great negotiating skills may be able to help keep it out of court. Does the estate contain complicated assets like a business? This can easily become a complex matter especially if the business has partners. There may have been an agreement that dictates what happens when one of them dies. Speak with an attorney to determine who gets what. When in doubt, speak with a probate attorney that handles Louisiana matters. You don’t want to make a costly mistake. If you live in another state, you will still need to speak with a Louisiana succession attorney as our laws are different than any other state. If you are an out of state heir or have been named executor of a Louisiana estate, please give us a call. We can speak with you without you having to drive across state lines. We’ve helped many clients all over the State of Louisiana as well as those from out of state. This post is designed for informational purposes only and is not to be used to make legal decisions. You must speak with an attorney at our law firm about your specific legal situation. Communication through this site or through email does not constitute an attorney/client relationship. How Long Do I Have to File a Succession in Louisiana? If you’re reading this article, you may be wondering how long you can wait to file a Louisiana Succession. Maybe you just lost someone close to you and you can’t bear to even think about it, or your loved one passed away many years ago. Either way, we’re here to help. You can file a succession at any point, however, it gets more difficult the longer you wait. Our Louisiana succession law firm has helped people file as early as the week after, as well as years after death. I can tell you from experience, if you wait too long, money will get spent and property will deteriorate. We’ve done successions where we were tasked with putting a value on livestock that had died years prior and vehicles that had been diminished to rust buckets. It’s also difficult to track down bank accounts and life insurance policies at that point. People forget where things are and they end up sitting there for years and sometimes even decades before a succession is opened to put heirs into possession. Do you have to file a succession as soon as the person dies? No, you do not. Sometimes it’s best to mourn and wait a while before dealing with the succession issues. I’ve had clients call me from the funeral to ask questions. Don’t do that. Spend time with your family and get closure. Our business can wait. You can put someone in charge of dealing with and tying up loose ends. Most Louisiana Wills name an executor of the estate and their task is to wrap up the succession issues and make sure everything is handled properly. They are also the ones that are responsible for hiring the attorneys and getting legal representation for the estate. If this happens to be you, we can walk you through the process that you need to complete in order to wrap up the succession the quickest and easiest way possible. How Long Does it Take to Complete A Succession? It’s hard to tell exactly how long it will take to open a succession, file the appropriate paperwork and close the succession with a signed Judgment of Possession from the Judge. If we have everything we need and don’t have to search for items or heirs, we can usually get it complete in a matter of weeks. Remember, a portion of that time has to do with tracking things down and with the judge assigned to the matter and how long it takes their office to process the succession paperwork. On the other hand, we’ve had successions that took nearly a year to complete due to extenuating circumstances such as community property that wasn’t dealt with before the individual passed away, missing property and other issues. If you’re still in the estate planning process, be sure to let others know where certain properties and documents are. We usually recommend keeping a detailed binder in a safe place that lists items and where to find them. If you have named an executor in your will, be sure they have what they need to complete the job and don’t have to spend months searching. I’ve had executors come to me that had no idea where to find a single item. We were able to help, but it took much longer than it would have had they been provided with more detailed information regarding the estate. If you need help with a Louisiana succession or are an out of state heir and have questions, just let us know! We’ve helped many families with their successions and would be happy to help you as well. This article is meant for informational purposes only and does not provide legal advice. Contacting or reading the website does not form an attorney/client relationship with the law firm. It’s important that you contact our office with any questions regarding Louisiana successions as the laws are complex and continually changing. It is important that you do not base any legal decisions on articles contained on this website. What Happens When One Spouse Dies Without A Will (Intestate) In Louisiana? This is an unfortunate scenario that plays out all too often. First, let’s explain what “intestate” means. Simply put, it means you died without a Last Will and Testament in place. Louisiana has a specific set of rules that come into play in the event you do not execute a valid Louisiana Will. These rules will determine who gets your property. The rules are not always favorable to the surviving spouse, nor are they always what you would have wanted. In the majority of succession cases we deal with where one party dies without a will, the surviving spouse comes to see us to explain their rights to the property. It’s a hard pill to swallow when we explain that they technically only own their ½ of the community property in full ownership, but the kicker is the deceased spouse’s ½. If you have children, that actually goes to them in naked ownership, with the surviving spouse having usufruct. That sounds fine until you understand the Louisiana term “usufruct” and what it means for your property ownership. Usufruct in Louisiana is the “use” of the property. You have to give it to the naked owners when your usufruct expires. The law states that usufruct expires when you die or remarry, whichever comes first. You CAN have a usufruct for life, regardless of whether you remarry, but that MUST be set up before the owner of the property dies. This is usually done in the form of a Louisiana Will that gives a “Lifetime Usufruct” to the individual. Let’s say in our example Mom died without a will, leaving Dad to live in the home by himself. They had children, some his, some hers from a previous marriage. Everything is fine until Dad decides to remarry. This is where most problems arise. You see, Dad only owns ½ of the marital home outright, he has usufruct of the other ½ that was owned by his deceased wife. Usufruct only gives Dad the “use” of the property until he dies or remarries, whichever happens first. In this scenario, Dad is remarrying, thus his usufruct will expire and he no longer has “use” of her ½ of the property. What happens now? Well, a few things can happen. The children can reclaim their inheritance from their Mom in full ownership and kick Dad out of the home on the day he marries Step-Mom. (It’s usually the step-children that do this, but we see it with blood related children as well). The other option is the children can donate their inheritance back to Dad and he will own the property in full ownership. BUT, they don’t have to. The biggest issue we see in estate and succession work at our office is when a new person (step-parent) is introduced into the picture. This creates a certain level of anger and sometimes hatred towards the surviving parent. Adult children will say things like: “Dad, we were ok with everything until you decided to get remarried to HER! We don’t want her (Step-Mom) living in Mom’s home with you.” Or, the step-children whom never really cared for Dad will step forward and reclaim their inheritance as soon as he remarries. You give your partner a LIFETIME USUFRUCT. A lifetime usufruct will allow your surviving partner to remain and use the home until they die, whether they get remarried or not. At that point, the property will revert back to your lineage and your children can have it. This is what most people do as they want their spouse to enjoy and use the property, but want it to eventually go back to their heirs at a later date. Remember, once you die, you cannot come back to tell us what you wanted to do with your property! These situations are much easier to fix on the front end and our firm can execute a few documents to ensure your wishes are carried out and your spouse isn’t kicked out of the family home. If you are located anywhere in Louisiana and need help with a matter such as this, feel free to give my law firm a call and we’ll discuss a plan that will take care of your needs without breaking the bank. This article is meant for informational purposes only and does not provide legal advice. Nor, does it form an attorney/client relationship with the Law Firm. Laws change often and it is important that you contact our office to speak with an attorney before making any decisions based on articles contained on this website. We get this scenario often. Here’s a quick example of how this usually plays out: Decedent lived and died in Rapides Parish, but owned real estate property in Avoyelles Parish, East Baton Rouge Parish, St. Tammany Parish and so on. He left behind a number of heirs and named his daughter as the executor of his Will to handle his succession matters. Now her job is to have the property in each parish transferred into the children’s name per his wishes, but he has property scattered all over Louisiana. It sounds like a daunting task, but we can walk you through the procedure to get property from other parishes in Louisiana transferred to heirs without painstakingly traveling to each individual parish. Open Succession. A Louisiana Succession must be opened in the parish where the deceased was domiciled at the time of his death. Domicile can thought of as your home, or the parish you consider your permanent place of residence. This can be confusing when you have an individual that had multiple homes. We use the one they intended to stay and use as their home. It does not matter that the deceased may have had real estate in multiple parishes, you must file the succession in the parish where the deceased was domiciled. All pleadings related to the succession must be filed in the Succession suit record in the district court where the individual was domiciled, no matter how much property the deceased had in other parishes. This includes all court petitions relating to the succession, descriptive list of all assets and debts, court documents, orders and judgments. A Judgment of Possession must be signed by the judge: Once the succession is filed in the proper court and everything is submitted, the district court judge in the parish where the deceased was domiciled will look at the documents and sign a court order known as a Judgment of Possession. Our office will prepare and send this with the petitions and verifications. Once the judgment is signed, the Clerk will send certified copies to our law firm for processing. We request multiples in the event the decedent owned property in multiple parishes. We Record Judgment of Possession in All Parish Where Real Estate is Owned. Our office will take the certified copies of the Judgment of Possession that the court sends and record them in the conveyance records in each parish where the deceased owned immovable property (real estate). This puts third parties on notice that property has been transferred to the heirs and helps avoid any confusion further down the road. It can be time consuming and expensive, but this is what the law states must be done when someone dies in Louisiana and owns property in multiple parishes. However, if you own property in multiple STATES, a Louisiana Succession will not transfer the property to heirs. You will have to hire an attorney in each state wherein real estate property is located. Many people want to avoid this and choose to set up a Living Trust so that probate proceedings are not required after death. This will transfer property in multiple states to the Trust. If you have questions about a Louisiana Succession or Trust, give us a call at (318) 229-1608. This article is for information purposes only and does not provide legal advice, nor does it form an attorney/client relationship. There are a handful of steps required to get an executor of a Succession in Louisiana confirmed. It’s important to follow the law and make sure you don’t miss anything. Once the Judge signs and the executor is confirmed by the court, he/she can then access bank accounts, sell assets and real property and be able to handle other aspects of the estate. Executor of a succession is an important job and whoever named you in their will must have had faith that you would handle their business after they passed. Some look at it as an honor, others a burden they did not ask for, but we’re here to help you through the process. An executor of a succession is normally named in the Will, however, just because you are named as the executor does not give you the power to act. Not just yet. You must first go through the process and submit to the court to be confirmed. This checklist does not substitute for legal advice, nor do we suggest you attempt it on your own. A mistake can cost you drastically and can delay the succession. We recommend calling us and scheduling an appointment, this is just for reference and to let you know what to expect. Our firm will prepare Letters of Executorship that will go to the clerk of court for signature. You, as the executor, will need certified copies to handle things such as banking. We gather this information from you and compile it into a packet to send to the court for signatures. Don’t hold your breath on this part, it could take weeks. Sometimes the court system gets backed up and it takes time for the paperwork to go from the Clerk’s office to the Judge’s office where he/she will have to check for accuracy before signing. We will give you updates as to the progress at any point of the succession work. Once you have the certified copies of the Letters of Executorship, you are ready to handle estate matters. Call us for any questions you may have and we will gladly walk you through the process! This post is for informational purposes only and does not provide legal advice. 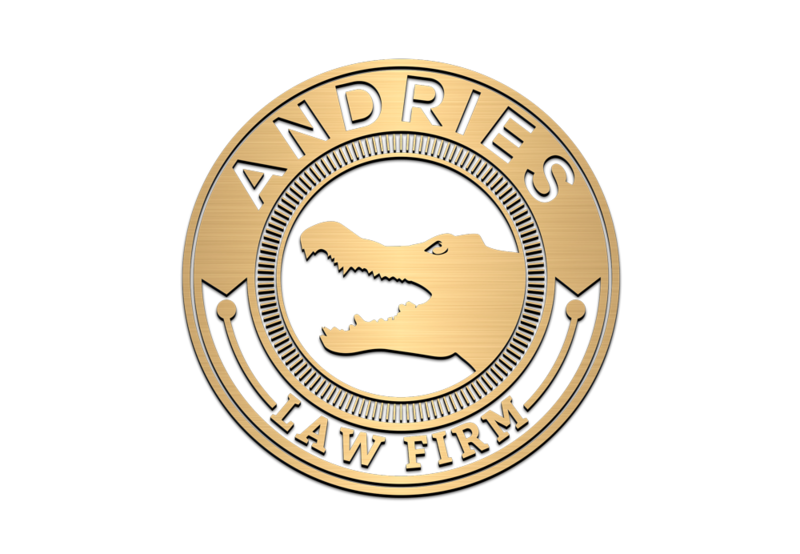 Using this site or communicating with Andries Law Firm, LLC, through this site does not form an attorney/client relationship.